Alabama doesn’t rebuild. The Crimson Tide simply reload. Essentially ending the debate – at least for now – about whether he or Jalen Hurts should be the Crimson Tide’s No. 1 quarterback, Tagovailoa scored on a 9-yard run while also completing 12 of 16 passes for 227 yards without an interception. 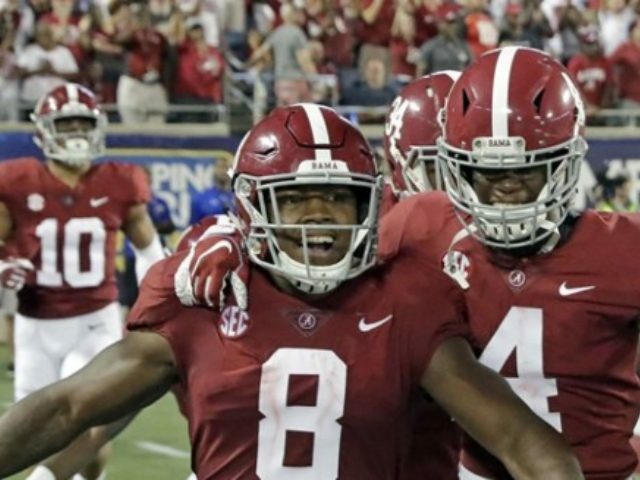 Despite having a bunch of new faces on defense, Alabama entered the season opener No. 1 in the AP Top 25 for the third straight year. Louisville was clearly overmatched, however some – if not most – could be attributed to how well the Crimson Tide played in improving to 12-0 in season openers under Saban.